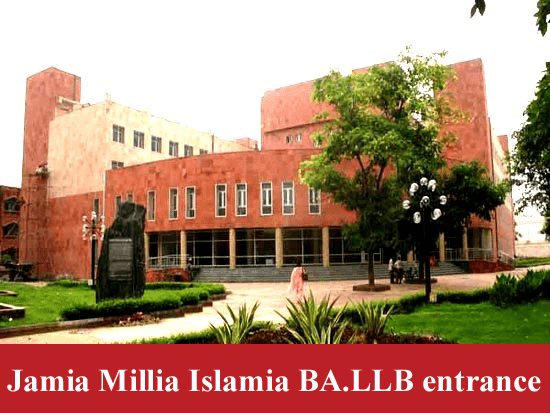 Today we are going to look at how good is the 5 year BA.LLB program at Jamia Millia Islamia University. We will also look at the placements at the university's faculty of law. One sees a culmination of many cultures and languages as there are students from different states, castes, religions and cultures. The college is sprawled over a huge area and the campus is very green. Therefore, the campus is serene and the atmosphere peaceful and ideal for learning. Not just is the environment conducive for learning but the overall the campus is gorgeous. All amenities such as movie theatres, restaurants, ATMs and a police station are located within 3 km radius of the campus. There is also a hospital within 3 km radius in case one faces a medical emergency. Travel is less of a hassle because there is an airport and a bus stand around 11-12 km away. The college provides hostel facilities for both boys and girls and the rooms are outstanding in terms of comfort and ideal for leisure and studies both. The classrooms are state of art and complete with air conditioning and LCD projectors and the mode of teaching is technologically advanced. The library is well stocked and never lacking plus there is a auditorium with full capacity for special events. The teaching method is not restricted to class room teaching and eminent scholars from the legal field conduct seminars in the college on important topics such as protection of environment, electoral reforms, and judicial reforms. The faculty is experienced and yet friendly and approachable plus the staff pays individual attention to students especially those who are found weaker in studies and overall. Let us see how good the college is in extracurricular. Let's talk sports first. I would say sports facilities are not at all ignored either and the college student teams are very active in sports events both at intra college level and inter college i.e. the national level. The college takes part in all kind of sports events and these sports teams do the college proud. The college cricket and football team are especially good. Not just sports but all extracurricular activities are encouraged..
Another example to prove that extracurricular is very important to this college is its moots. College students here take part in all national moots and also organize moots in their college. At the time of the moots the whole college is abuzz with activity and students especially prepare for a coming national moot by organizing and participating in various intra class moots. Besides moots there are debates, client counseling and other law related events which form a strong foundation for a law student and at the same time have entertainment value. On the lines of the best law schools of the country this college also has a legal service clinic and the legal clinic always has various legal aid programs on its agenda. The faculty and students who are involved have taken training to become paralegal volunteers under the aegis of National legal service authority. Similarly, the college also has to its credit the fact that it organized a national law reform competition. This was a first of its kind competition to be organized in India. First option is that the students get attached with lawyers i.e. the students start working with lawyers soon after college. Members of the alumni association have been seen working with district court, High court and Supreme court advocates. This covers litigation. Besides litigation the another important avenue which Jamia Millia law students also explore is judiciary and very many are seen attempting and clearing these judiciary exams to go on to become judicial magistrates. The college instills high ambition in its students and a few students clear the prestigious civil service exams every year. Some love the idea of social work and want to always feel the way they felt while working with the legal aid clinic in college and therefore join NGOs. The college instills in its students the idea that the foremost duty of a lawyer is to repay his debt to the society and that is why many turn towards social service and NGO work. After completing BA.LLB program Few students take the conventional path and join law firms and corporate houses. On the whole the college is committed to excellence in legal education and is an institute of great repute, and name and has been long standing as a force in the legal arena. Check here the complete 5 year BA.LLB program at Jamia Millia Islamia University 2018,and Placement review of university's faculty of law.